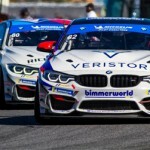 The BMW aftermarket and tuning specialists at BimmerWorld head into this weekend’s race at Connecticut’s Lime Rock Park in search of their first Continental Tire Series win of 2014. The tiny bullring circuit has favored BimmerWorld’s BMW 328is in the past, with the team scoring notable finishes in the Street Tuner class, and with the Virginia-based outfit off to another strong start to the championship, Lime Rock has been targeted as a venue where the entire four-car program can take another step forward. 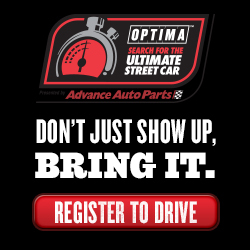 Once BimmerWorld leaves Lime Rock, the series takes off on a steadier string of races after long pauses between the earlier rounds. Lime Rock also serves as a circuit where some of the smaller, lighter ST cars could have less of an obvious advantage. 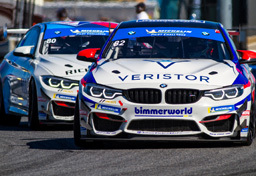 BimmerWorld has used tracks like Lime Rock to hone and develop its BMW 328 (E90) platform into a proven winner, and this year the team’s brand-new F30-based BMW 328 to race at the picturesque tree-lined facility will join the fray. With Clay and co-driver Jason Briedis at the controls of the No. 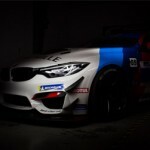 84 F30, and BimmerWorld’s peerless group of engineers and technicians advancing the car’s competitive stance at every round, Lime Rock should serve as another springboard for the turbocharged racecar. 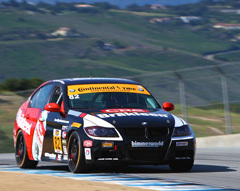 The tandem of Corey Fergus, Kevin Gleason–newcomers to BimmerWorld this season–in the No. 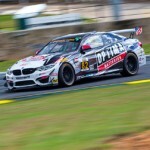 80 E90 have shown the pace and patience expected from renowned veterans, and according to Gleason, Lime Rock poses a perfect opportunity to start a charge up the Championship standings. 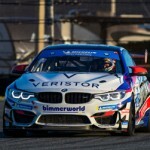 Although BimmerWorld is known for its consistency within the cockpit, one of the team’s long-time drivers will miss Lime Rock for a very worthy reason.